Sundays are normally the one day of the week that I actually cook a real meal. Yesterday I tried something new. 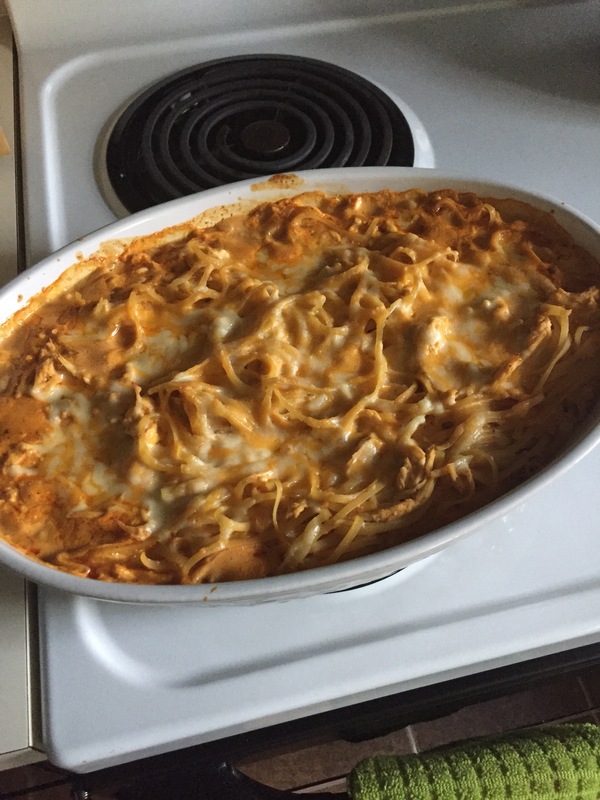 I had seen a crock pot recipe for buffalo chicken pasta and decided to give it a whirl. Instead of the crock pot, I made the sauce on the stove top and then combined everything to bake it with some of the cheddar cheese on top. It turned out pretty good. It tasted better the next day. I used the whole bottle of buffalo wing sauce, so it was super spicy. If you want a little less of a kick, then you may want to use less of the sauce. Have you guys found any new recipes lately? Let me know!